All our caravans will have highway marks for the 2019 season. We would like to thank all our customers for the great season! 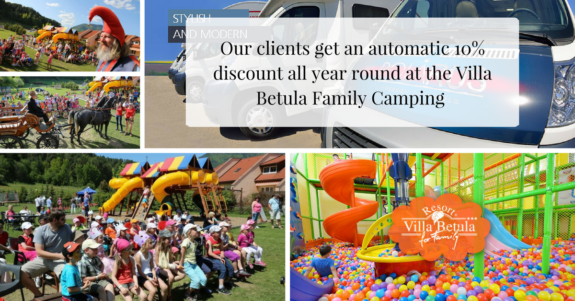 We understand that we are a large and significant part of your motorhome holiday. We, therefore, strive to provide valuable high-quality tourism services that our guests will appreciate. 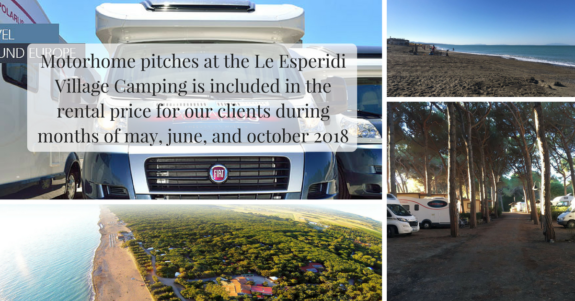 Our work is, first and foremost, to ensure that you get memorable impressions, see many beautiful European locations and remember your motorhome trip as one of the finest adventures of your life. When you come back rested, happy and full of impressions, we rejoice together with you because this is how we determine the quality of our work. We thank you for your trust and look forward to new meetings! 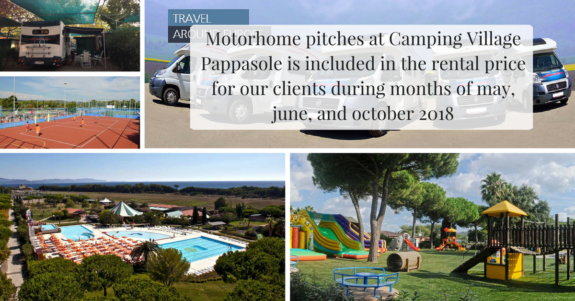 High-quality Italian camping for a family holiday on the coast of the Tyrrhenian Sea. High-quality Italian camping for family holiday on the coast of the Tyrrhenian Sea with its own designated beach area. Get a 10% discount on your travel for motorhome rental longer than 30 days. Get a 10% discount on each motorhome for renting three (or more) motorhomes.